What type of metals are used in your creations? I take extra special care ensure every product I create for you will last for generations if cared for properly. Stainless steel is my main choice of metal as it is much more resistant to corrosion than ordinary carbon or allow steels. In normal atmospheric or water based environments, stainless steel will not corrode, rust or cause staining. It is also hypo-allergenic, non-reactive, scratch resistant and exceptionally strong making it perfect for regular wear and for those of us with active lifestyles. Its low reactivity makes it safe to wear in chlorine or salt water thus is perfect for divers, swimmers and athletes of all kinds. The alloy does not generally trigger a reaction from metal-sensitive skin, which is why it is used in surgical instruments and medical implants making it a primary choice even over precious metals for some wearers. All materials are put through rigorous testing to ensure their quality and to provide you with affordable, lustrous and long-lasting jewelry. How long should I expect my custom order to take to be created? Custom orders typically take 1-5 days to create depending on the size and complexity of your order. If your custom order is anticipated to take longer due to size, complexity or current order backlog I will let you know as we discuss your order details. How do I care for my freshwater pearls? Pearls are organic and relatively soft compared to other gemstones and precious metals therefore you need to treat them a little differently then you do your other jewelry. It is important to take special care of your pearls to ensure they will remain bright and beautiful for generations to come. 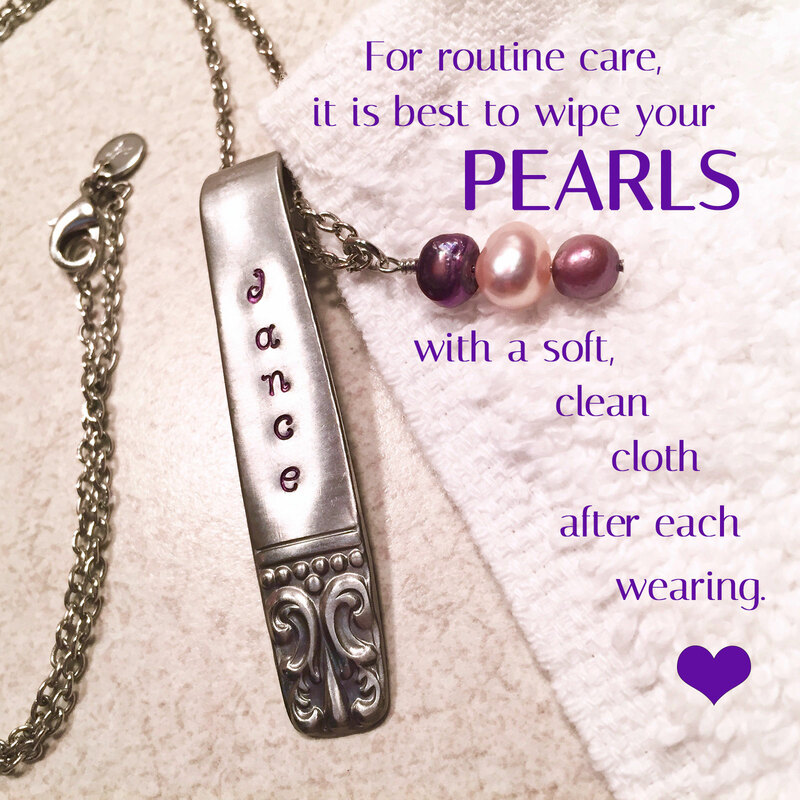 For routine care it’s best to wipe your pearls with a very soft, clean cloth after each wearing. Upon removal, gently wipe your pearls with a soft, lint-free cloth as soon as you take them off. The cloth can be dampened with water (mineral or distilled) or it can be dry. If damp, allow the pearls to air dry before putting them away. Cosmetics, perfume, hair spray, lotions and body sweat can dull the luster of a pearl over extended periods of time. It is recommended you put your pearls on after applying makeup, perfume and/or hair spray. It is best to use mineral water or distilled water to rinse your pearls. Standard tap water can contain chlorine and other chemicals that could damage the surface of your pearls. Gently apply a baby shampoo or another mild soap using a soft manicure brush or soft cloth. Harsh cleaners can destroy the pearl and hard brushes can cause scratches. Soft-bristled toothbrushes work well as they can poke into thin crevices during cleaning. Gently dab the water and soap onto your pearls with a dry, soft cloth (scrub gently if needed) then rinse. Do not let chemicals or water sit on your pearls too long. A drop of olive oil on the cloth can be used to help maintain the luster. Pearls should never be cleaned in an ultrasonic or steam cleaner or with jewelry cleaner. 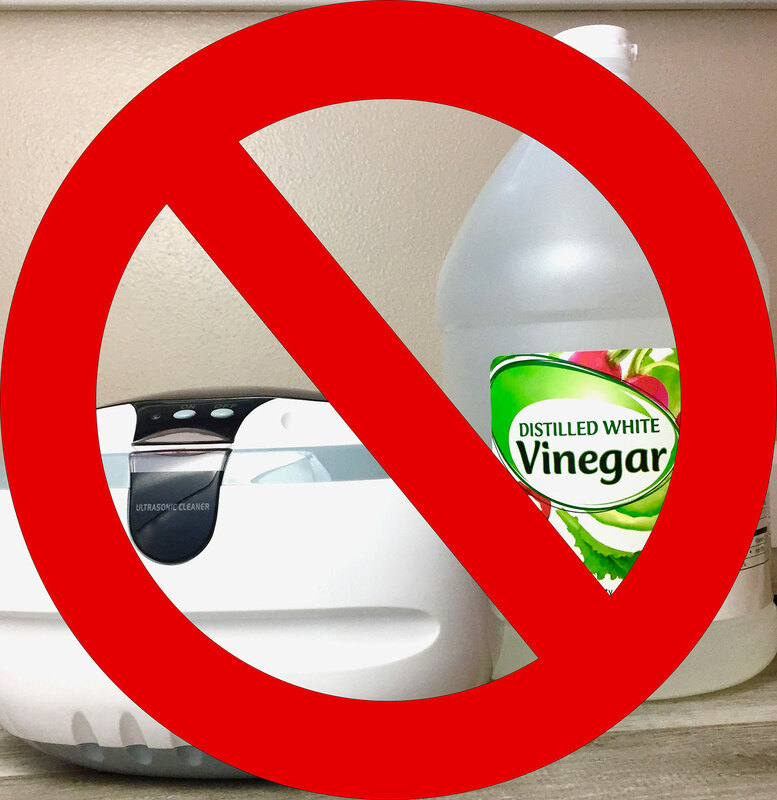 It’s safe to use warm, soapy water for occasional, thorough cleaning. NOTE: Immediately wipe your pearls clean with a soft cloth if they get exposed to acid. Acid can come in the form of sweat, perfume, fruit juice, vinegar, or a number of other substances. The acid will break down the crystallized calcium of the pearl, ruining its luster and causing long-term damage. Store your pearls in a manner that prevents them from getting scratched. Keep them separate from other pieces of jewelry and avoid excessively dry conditions. To prevent chipping, pearl jewelry should be hung, stored in a soft cloth, silk or velvet drawstring bag or stored separately in a lined jewelry box away from other harder metals and jewels. Fasten any clasps or pins before storing your pearls. These sharp metal objects could rub up against the pearl and cause scratches. Never store pearls in a plastic bag. Some plastics can emit a chemical that, over time, will cause your pearls to deteriorate. Airtight plastic bags can also cause vapor or sweat inside. With proper care, your pearls and custom AvaMadison.dance pieces can remain beautiful and vibrant for generations to come.